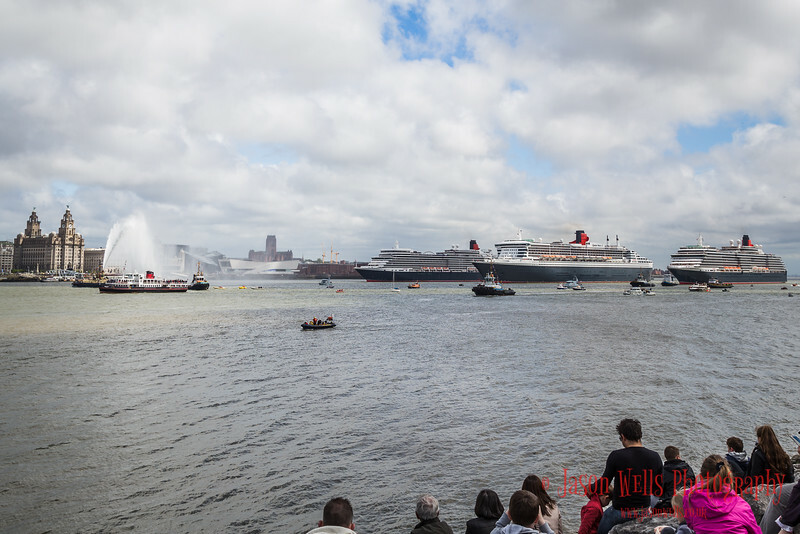 The Three Queens met along the River Mersey on 25th May 2015 to celebrate Cunard's 175th anniversary. 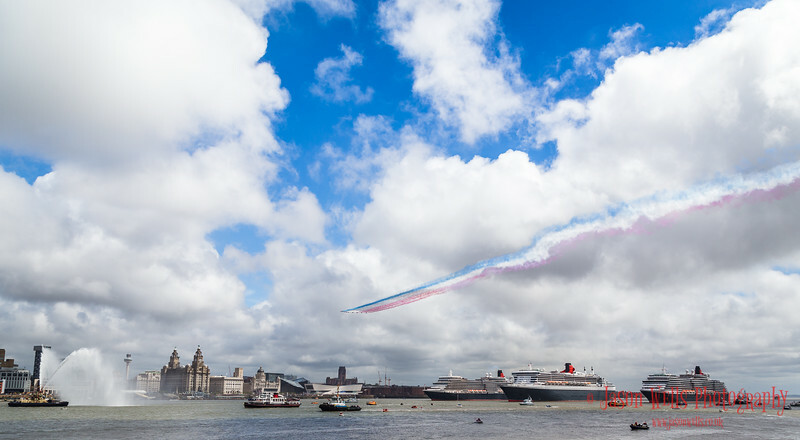 Red Arrows pass over the Three Queens. 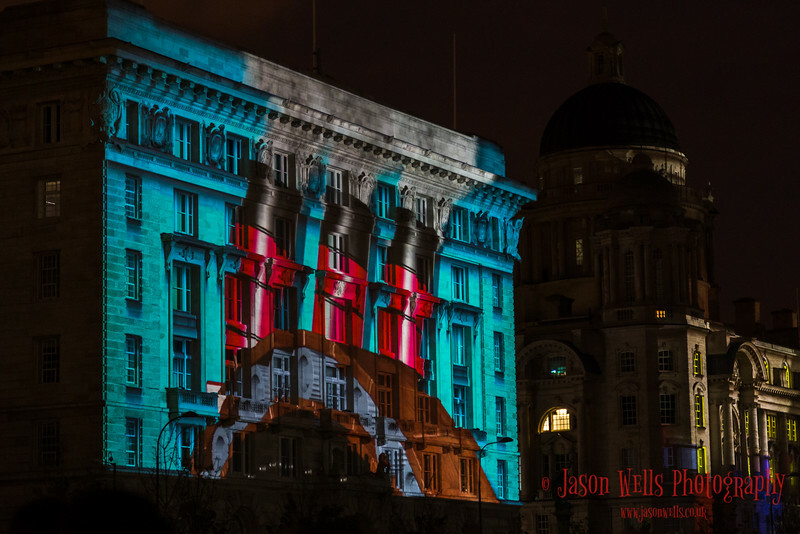 Captured on the banks of the River Mersey (on the Wirral) during the finale of the Cunard 175 celebration. 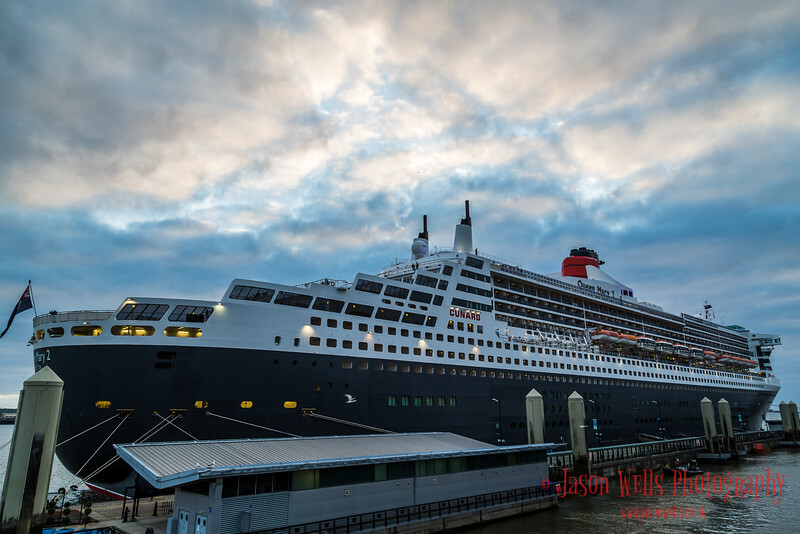 Queen Mary Two berthed on the Liverpool waterfront. Captured in the blue hour along the Liverpool waterfront. 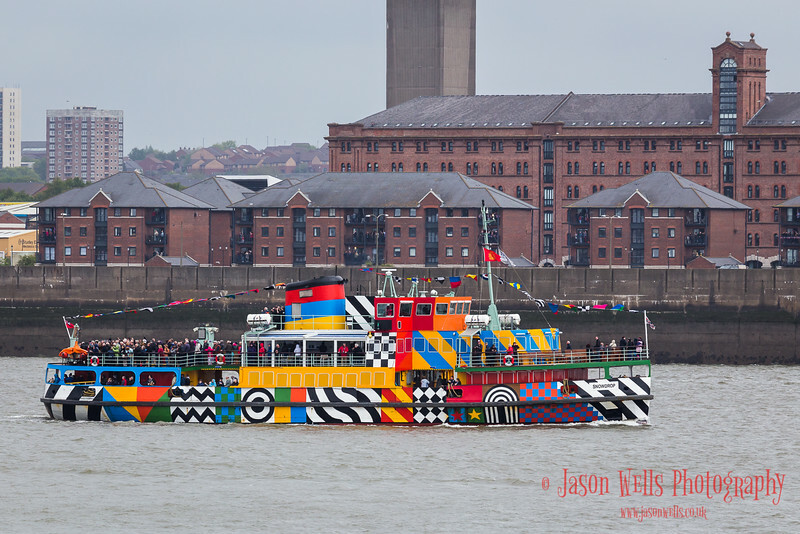 Dazzle ferry packed with people witnessing the Cunard fleet meeting up. 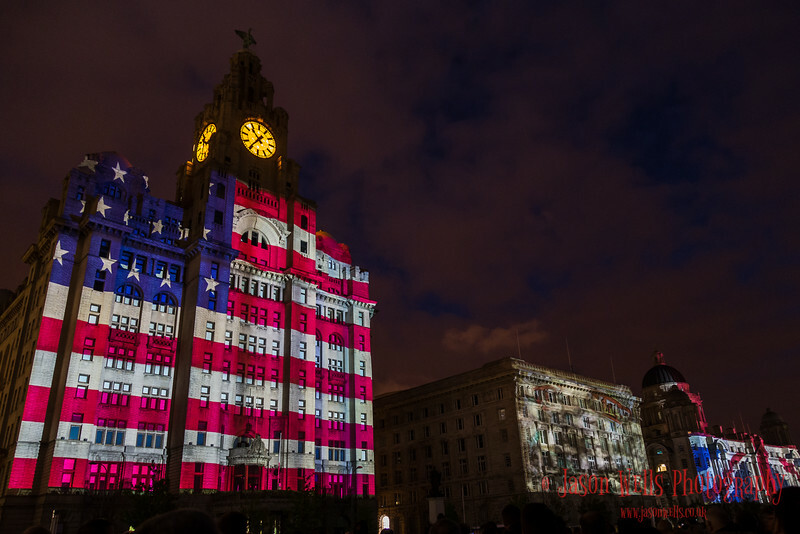 Sights of Liverpool on the Royal Liver Building. 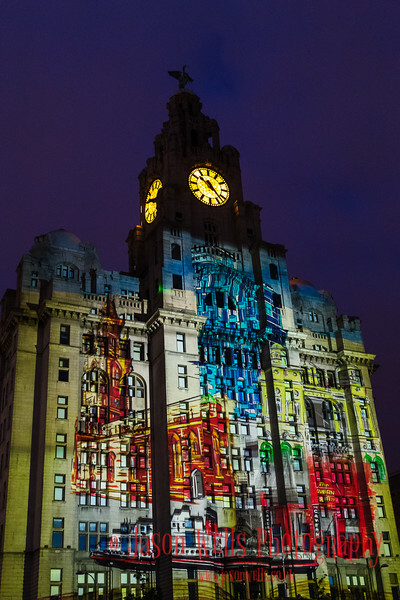 Captured at the fascinating light projection on the Three Graces, Liverpool. Queen Mary Two leads the procession down the River Mersey. 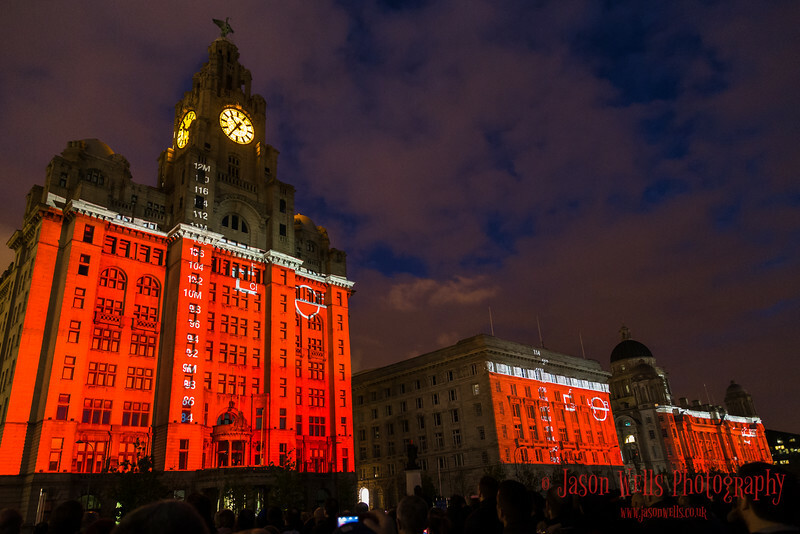 Three Graces lit up in red, presenting the underside of the Three Queens. The sunlight begins to fade over the Queen Mary Two. 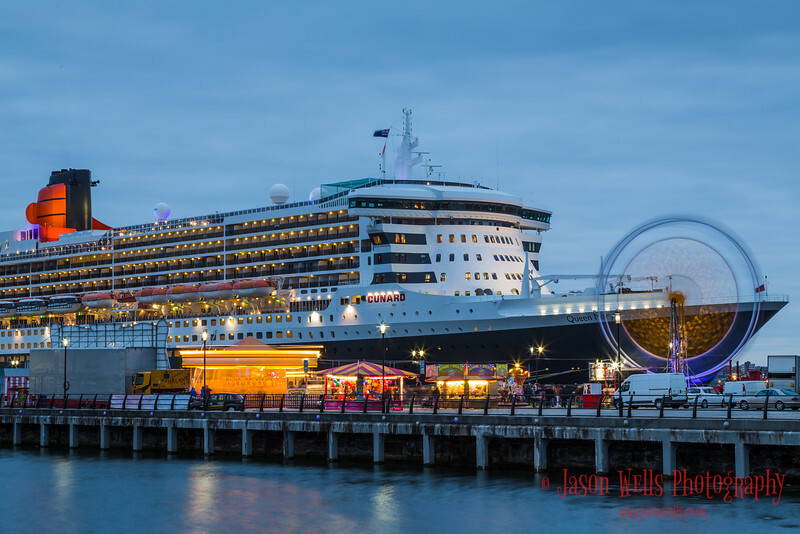 Queen Mary Two turns in front of the Albert Dock. 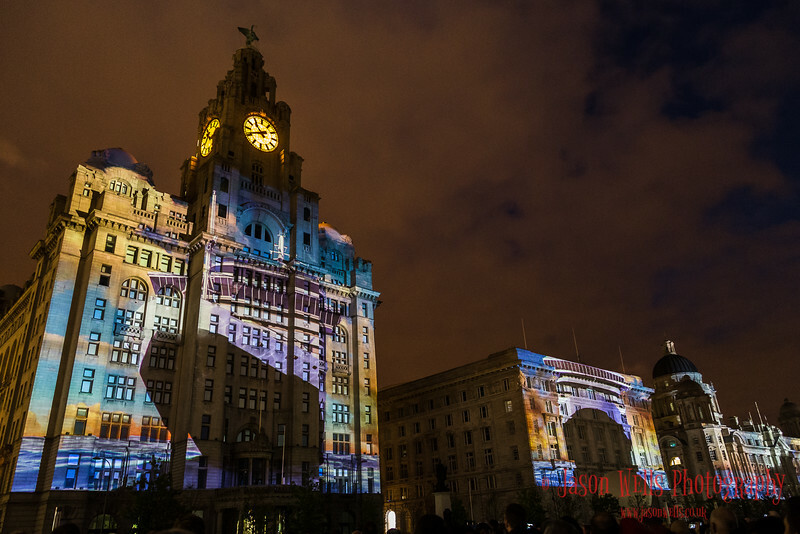 Light projection on the Three Graces. 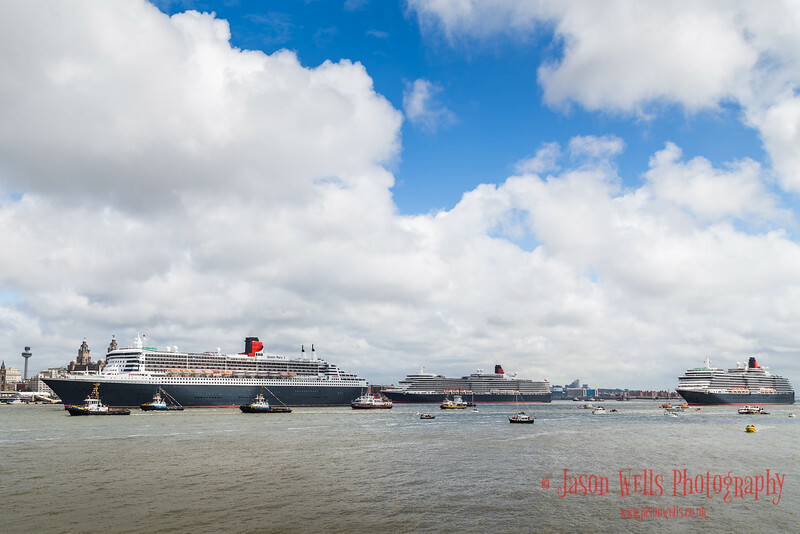 Mono of the Three Queens in formation. 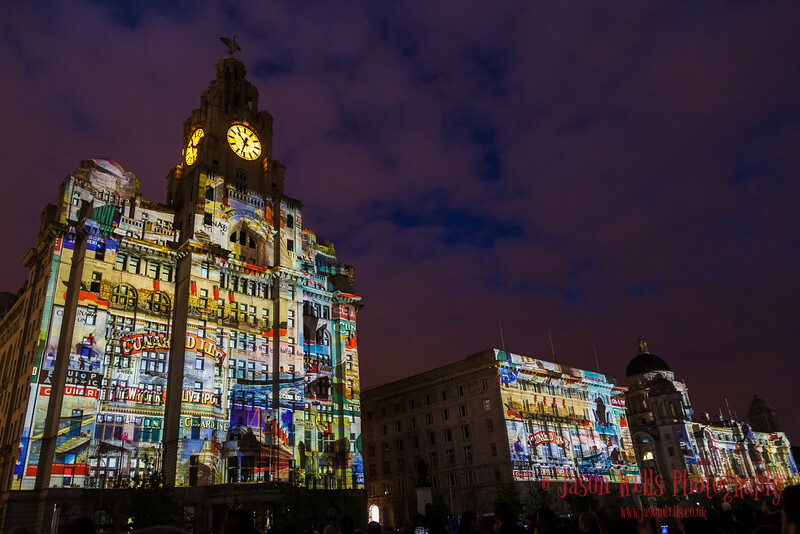 Three Queens projected onto the Three Graces. 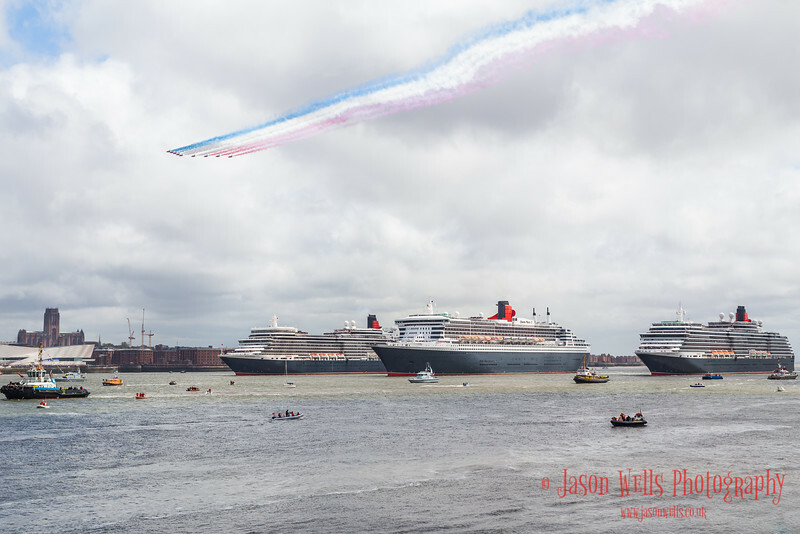 Red Arrows flypast over the Three Queens. 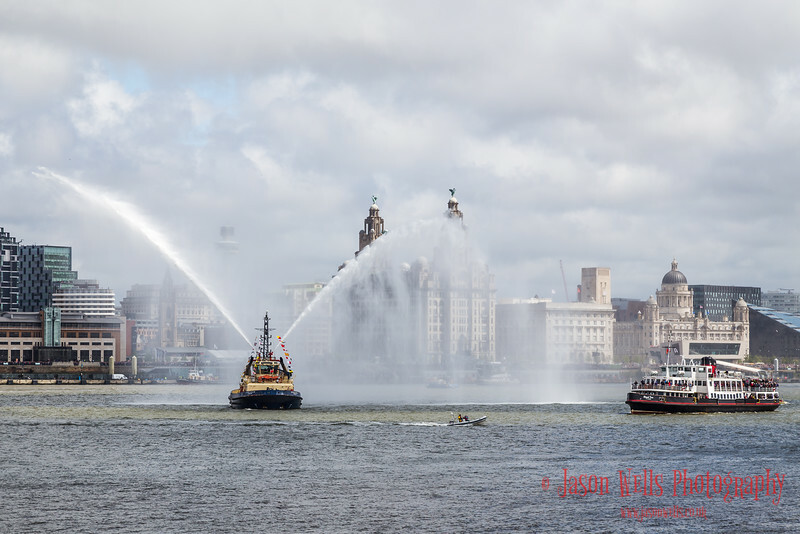 Tug spraying water in front of the Three Graces. 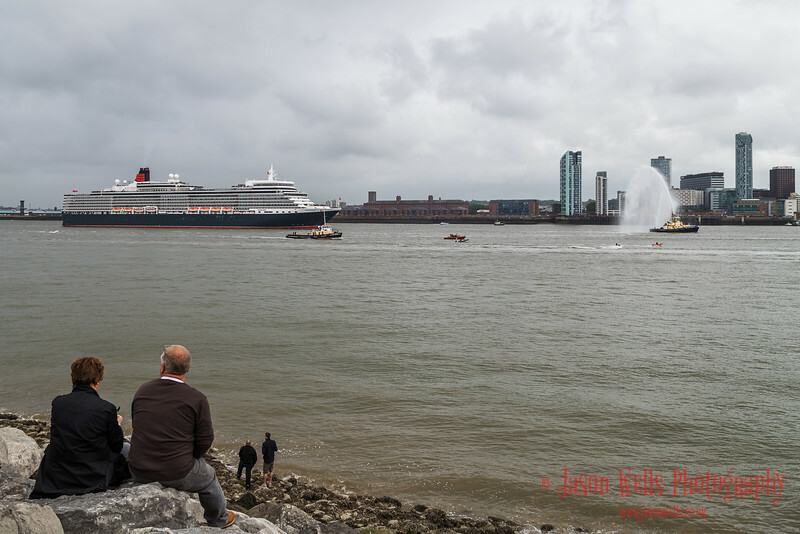 Crowds watch the Three Queens from the banks of the Mersey. 175th anniversary of the first transatlantic crossing. 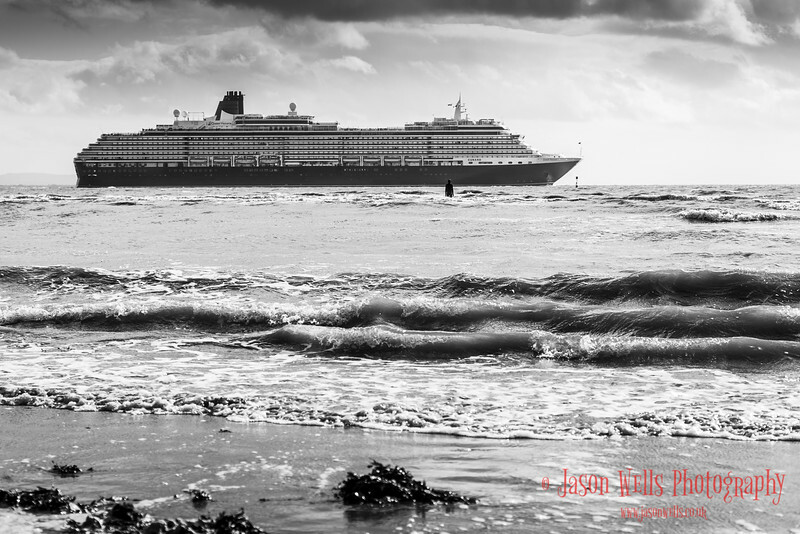 Queen Mary Two departs to leaves her sisters in Liverpool. Three Queens in close formation. Fairground rides in front of the Queen Mary Two. Colour image of the Three Queens in formation. 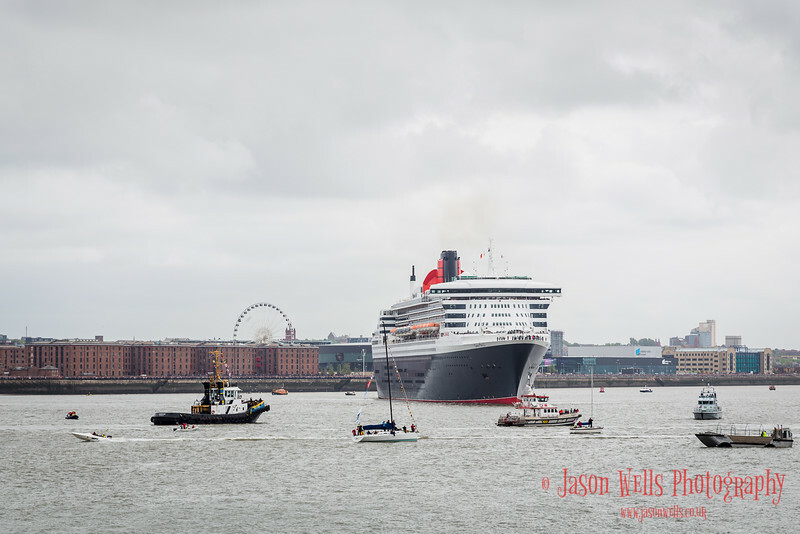 The Queen Victoria follows her sisters (Queen Mary 2 & Queen Elizabeth) out of the River Mersey following the Cunard's 175th anniversary celebration in Liverpool.